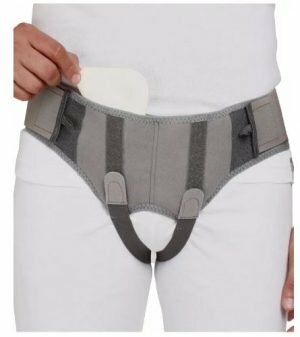 Tynor Hernia Belt offers a gentle and constant relief from reducible inguinal hernia by providing adjustable and comfortable pressure to a hernia. On wearing the belt the occurrence of herniation gets eliminated. Can be worn inconspicuously under clothing. Hernia Pads are molded out of special grade ethafoam for appropriate hardness. 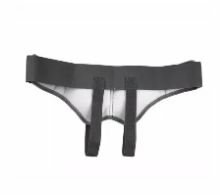 They are extremely lightweight, smooth and comfortable. Anatomic pads press the inguinal aperture at the appropriate angle, for enhanced effectiveness. Soft and dermophilic materials ensure no rash or allergy, improve comfort and improve compliance. 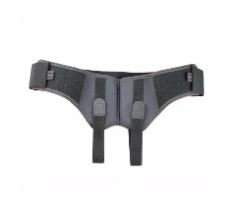 Adjustable pelvic and leg straps provide customized pressure and ensure that one size fits a large population.